I am fascinated by the way new ferns grow, breaking through the previous year's dead growth. they are to me a potent symbol of regeneration and renewal. 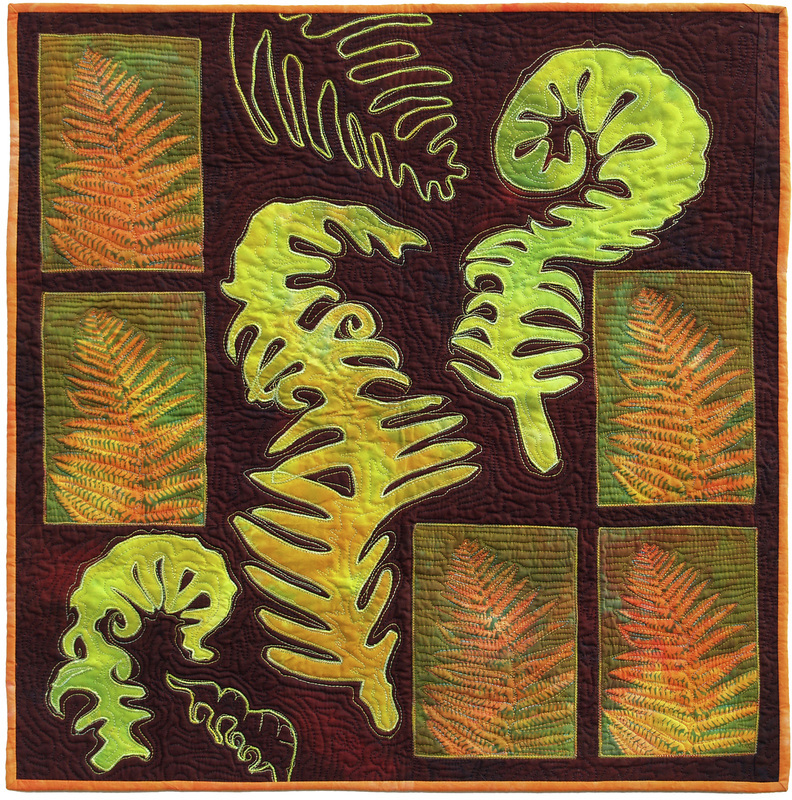 A series of close observational drawings of young ferns became my starting point; some of these became stylized portraits of ferns in this quilt. I was amazed not only the quirky ways in which they uncoil but also by the ways in which they vary and adapt to their environment: ferns are great improvisers and thus great survivors! My exploration of ferns through a series of artworks also mark a phase of personal and creative 'breakthroughs' during the past year. Techniques include hand dyeing of fabrics and embroidery thread; screen printing with ferns, machine applique and quilting, machine couched threads.